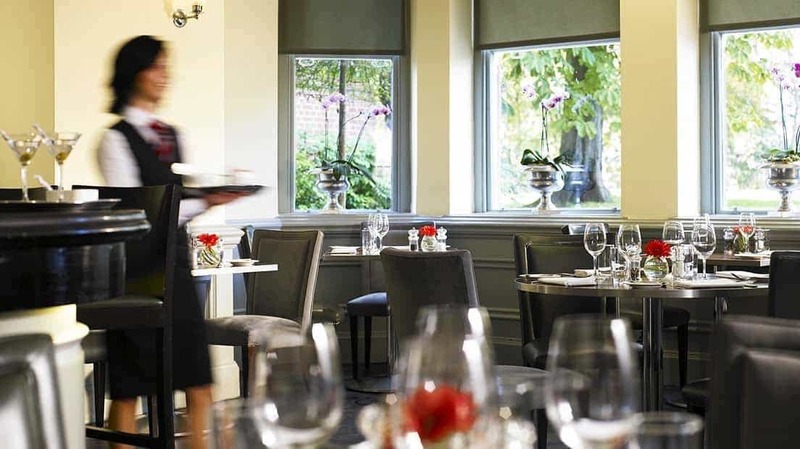 The Oak Room is our 2 AA Rosette fine dining restaurant in Surrey. Guests will enjoy fine, fresh ingredients prepared with passion and served with charm. 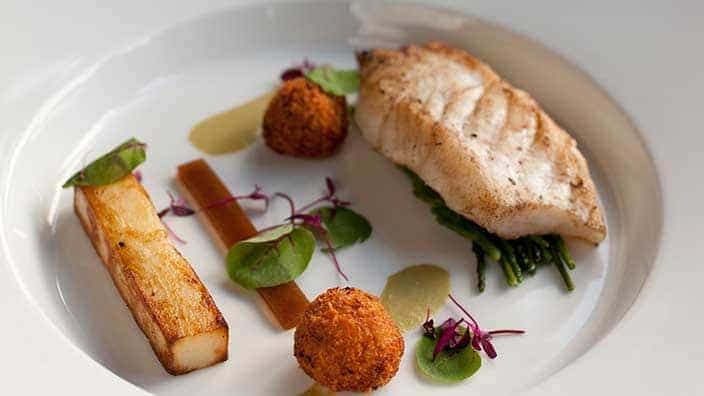 In the Oak Room Restaurant at Woodlands Park Hotel in Cobham, Surrey, mouth wateringly good food is served in a grand yet intimate dining room which has been awarded two AA Rosettes for culinary excellence. The space is ornately panelled with dark oak, creating a warm and intimate atmosphere to enjoy a romantic meal, celebrate a special occasion or simply for the pleasure of it. 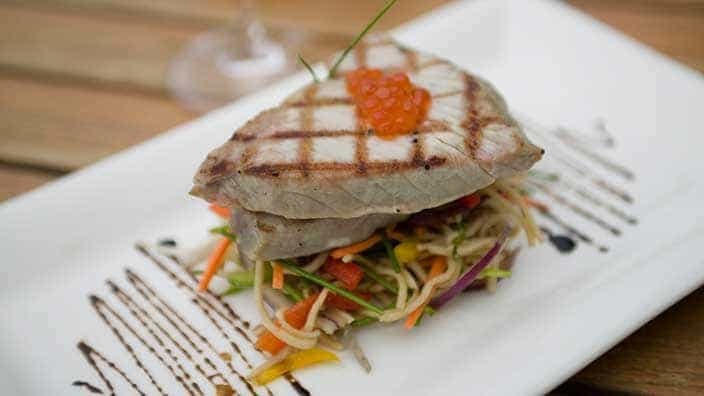 We source the very freshest ingredients and, wherever possible, everything is homemade. Naturally, dishes change to reflect the seasons, but some current favourites include the highland venison loin. To accompany your meal, delve in to the wine list – our experienced team will be happy to lend a word of advice if needed. 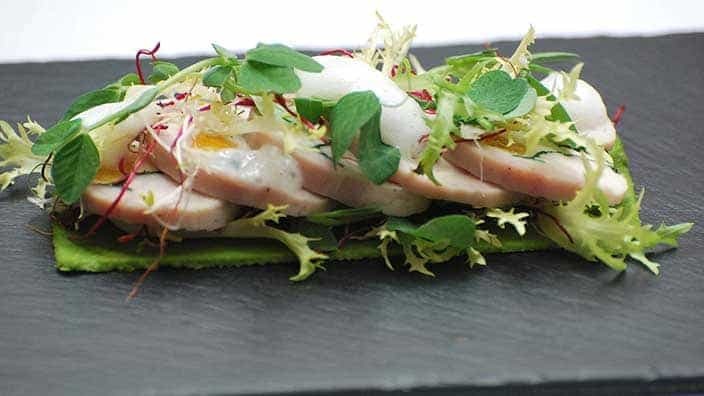 For less formal dining we offer guests the chance to relax in our contemporary restaurant, serving light healthy options as well as a selection of favourite dishes. 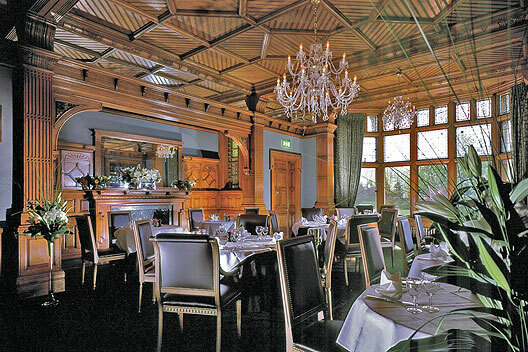 Open daily for breakfast, lunch and dinner Bensons Restaurant is a wonderful place to gather with friends, enjoy an intimate meal for two or a lunch with the family. Special menus have also been created just for children. We took advantage of an email offer for an indulgent chocolate afternoon tea.This was a birthday treat for my wife.We were met in the lounge by a charming young lady and escorted through to where the tea was served.Due to a lack of customers there was a lack of  atmosphere with only one other table in use. We chose our teas and both us and the table next to us had to ask for milk.I do however understand that this would not be left on the table being such a warm day.However it should have been brought out with the tea.No additional hot water was brought with the tea and we both soon drank all the tea and had no opportunity to ask for more.The service staff on duty of which  there were three who flitted in and out on occasions but were friendly when they did. The room, tea was served in lacked atmosphere due to the lack of other guests, not the hotel’s fault but the piped music was far too loud. The sandwiches were of poor quality using poor quality bread and ingredients. The smoked salmon was good, the ham ok and the egg tasteless, I have to question whether the eggs were actually freshly boiled or bought in ready boiled, there was no hint of a home made mayonnaise or cress.There was a caramelised onion sandwich served and my wife and I am still guessing what this was.All sandwiches lacked seasoning.There were no traditional cucumber sandwiches or other choices.I would have expected a hotel to utilise other types of bread. It would have been nice to have been asked if we wanted extra sandwiches, I certainly for one would have liked another smoked salmon. My wife enjoyed the battenburg snd the brownie, I personally didn’t. There was a lemon meringue dessert served and neither of us knew how to eat this.The lemon base had not set and we both drank the lemon as it was more akin to a lemon drizzle.There was another dessert type offering, served in a shot glass, something chewy but not sure what it was. When booking afternoon tea I expected good quality china but this appeared to be a banqueting style chunky china and the cups used seemed to be jointly used whether it was tea or coffee you were ordering.The cups appeared to be similar to what you would be served your tea or coffee in at breakfast or the end of a function. Woodlands has such an amazing opportunity to make good use of their location as the hotel is in a beautiful location.I feel the whole experience was let down by the fact that the hotel was not busy and the staff operating to below par. Maybe  key staff certainly in the kitchen took the opportunity of a quiet day to enjoy a well deserved break. 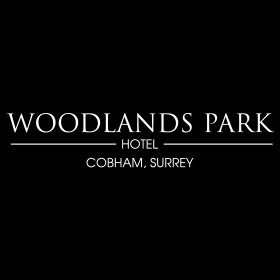 This was a disappointing birthday treat for my wife, we could have travelled to a nearer HandPicked hotel but wanted to enjoy the country house atmosphere and charm of Woodlands.Having experiencing their superb offering several years ago at a wedding. I am not convinced that we would want to venture out to another hotel within this hotel group again. Overall it was not the experience we were hoping for and left feeling disappointed. Perhaps it was just an off day. We have been to other 4 star country house hotels for afternoon  tea and had a better experience. Our experience at the Oak Room was excellent. Service was excellent throughout. I had let them know in advance it was my boyfriend's birthday and they gave us a really nice table and brought him out a little nibble/dessert plate with a candle at the end. The food was excellent. We share the cheese to start and it was unbeatable, it was flavoured beautifully and served with the right amount of chutney and bread. We both had steaks and chips for our main. The steak was good quality and the sides perfect the chips were everything. My partners medium rare was perfectly cooked. My rare was a little overcooked to my taste but it was the only slight complaint I had and it wasnt bad enough for me to say anything. The meal would have come to £140 had we paid which was amazing value given we had 2 steaks and a £50 bottle of wine. However with the room deal (£70off ) we paid only £70 for this excellent meal. The staff were friendly and professional; only minor issue was the sandwich fillings were very slim. I am very disappointed to hear that your pre dinner drinks & dinner did not live up to expectation. It is always valuable when we get feedback, both positive and negative, so as we can recognise and action areas of concern. Please be sure to contact me directly, as I would like to manage your booking personally. Thank you for your feedback and I am sorry to hear about the quality of the food for your afternoon tea, we will of course look into this as this is not the service we normally offer as you are aware from your past bookings with us. This is my second time at Woodlands for Afternoon Tea. There is a good selection of sandwiches and cakes and staff are friendly and helpful. Would recommend and return for a 3rd visit. Thank you so much for your great review and recommendation. We are delighted that you had such a wonderful time whilst with us at Woodlands Park Hotel. It is very kind of you to share your comments for other potential guests to read. We hope to welcome you back for the 3rd visit soon. Thank you for taking the time to post your review. I am pleased to note the good scores that you provided. Really lovely Sunday lunch with excellent service. The staff were lovely and the food was very nice but we were bitterly disappointed to find ourselves in the bar/bistro area for afternoon tea rather than the elegant dining room. Instead of overlooking lawned gardens we looked out at the front drive to the background noise of staff making teas and coffees and buzzing backwards and forwards with try’s being taken to the other guests in the dining room. It felt like we were sitting in the servants quarters eating!! Thank you for your lovely feedback and we are really pleased you enjoyed your time with us and I will share your kind words with the team. We were delighted that you found the service and meal to be excellent, we look forward to welcoming you back. Best wishes. Thank you for a wonderful afternoon tea for my 40th Birthday! This was my first visit and I will definitely be back! Considering the amount of money that was charged for afternoon tea and then being put into a very plain boring corner of a bar with no outside view , I was very disappointed to say the least. I booked afternoon tea for Mother's Day and we were placed in the room at the back with the bar which I felt lacked any ambience for a special occasion. When we were there there were only 2-3 other tables in use so it really lacked atmosphere. I feel that for special occasions the nicer rooms should be made available for a proper afternoon tea experience and it should be marketed for that purpose. I wouldn't repeat the afternoon tea experience at Woodlands. The tea, sandwiches and scones were really nice but the cakes were a little dry, the marshmallow in a glass would have been better as a mouse. The service was good. Very disappointed with the whole experience, Firstly on booking was suggested by a member of staff that the Grand Hall would be a perfect elegant setting for afternoon tea & champagne, On arrival was surprised to see that we was the ONLY set table in the area known as Grand Hall which is in fact the reception lobby area by the book in desk. Ideal for people watching not so ideal for afternoon tea for 2. And felt quite uncomfortable throughout the whole time in full view of people coming and going. Service was disappointing with no theatre. Tea arrived much sooner than  than the food, Sandwiches far too chilled which spoilt the taste of the fillings. On leaving bill incorrectly overcharged. Having had excellent afternoon tea experience at Nutley Priory was very surprised at the very poor performance received at Woodlands Park Hotel,  Expected much much better. Sadly a very disappointing Mothers Day surprise for my wife. The choice of a savoury tea as well as the traditional afternoon tea was a 'hit' with my husband and The Mothering Sunday' gift from Hand Picked Hotel was a nice touch which delighted my Mother. Overall a lovely tea. A couple of the sandwiches were a bit dry - the bread. The whole experience was wonderful and we enjoyed our time at the hotel. Maybe more sandwiches to be offered would be welcoming. I also think a choice would be good as well. Maybe an alternative to salmon- a chicken option would have been good. Thank you to the whole team for making our afternoon tea experience a memorable one and we will be recommending you to friends, family and colleagues. We got married on 5th Sept 2014 in the Oak Room and followed with our reception. Wonderful day, cannot fault your service, food etc. Hence we have returned several times for dinner, lunch & afternoon teas. Always a pleasure. Thank you. Our food was well presented,very tasty and portions were generous. The house wine was excellent and complemented the meal very well. A special mention goes to our waiter who was friendly, knowledgeable and made sure we had everything we needed. Great service makes a big difference and we would definitely recommend dining here. The food was excellent. The service in the bar and in the dinning room was very poor. We had to ask several times for hot water to refill our tea pots. The young man in the bar needs a rocket up his!!!! I've seen more life in a three day old corpse. Please do not automatically add 10% service charge to everything, especially when I am stood at the bar watching the staff take the bottle from the fridge and simple take the cap off it. The area in the reception/fireplace was filthy. It had clearly not been vacuumed for at least 24 hours. Absolutely no atmosphere in the dinning room, despite it being a lovely room.